After the opposition got yet another strong point to corner the ruling BJP government and to disrupt the workings of Parliament in recent times, the BJP has finally washed its hands off the ‘Ghar Vapsi’ Event. BJP spokesperson finally clarified that the party has not initiated or promoted any such event or individuals and sternly believes everyone is free to practice the religion of his choice. 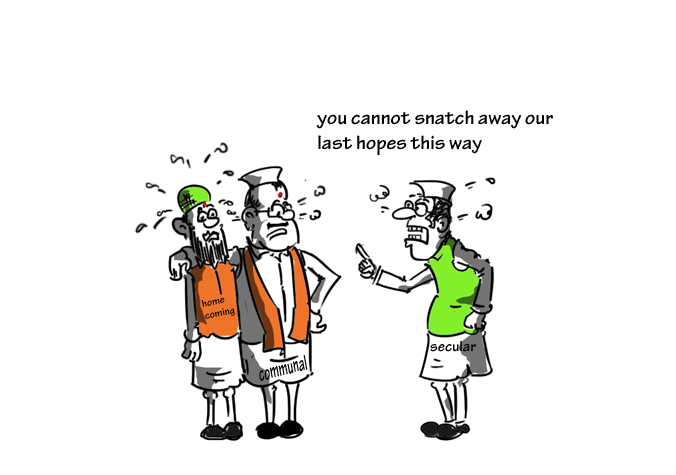 The opposition parties have united against the government since Sadhvi Niranjan Jyoti’s hate speech against non-hindus. The weak opposition was already turning stronger by attacking PM Modi on his frequent foreign visits and govt’s failing promises on bringing back ‘Black Money’ in hundred days. To top it, the BJP pro-hindu leaders have been attracting controversies either by organizing religious conversion events or by calling Nathuram Godse ( the man who assassinated Gandhi) an equal patriot. 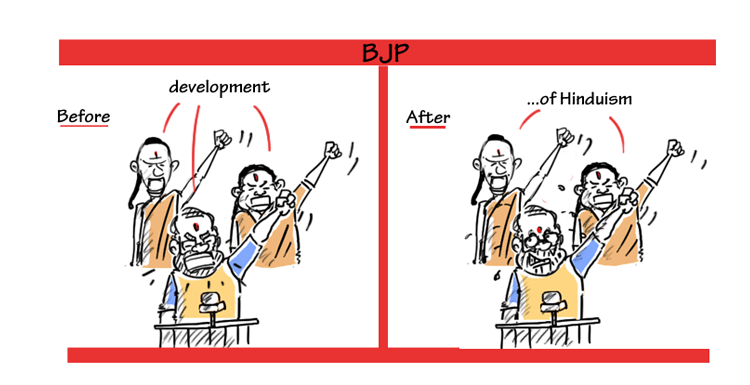 Interestingly, the nation did not vote for BJP or pro-hindu ideologies but for PM Modi’s leadership skills and agenda of ‘Development’ but the pro-hindu BJP leaders who just acted as faces for Modi, are now singing their same old pro-hinduism songs.